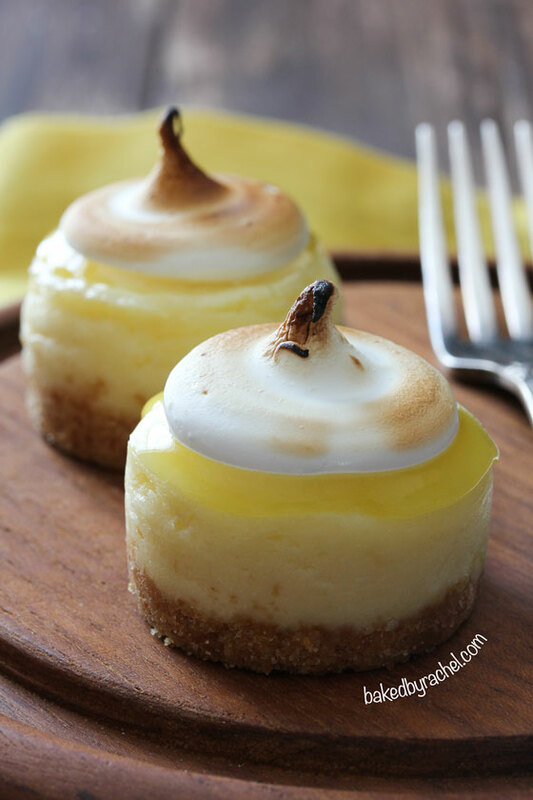 A fun recipe for mini lemon meringue cheesecakes, featuring lemon cheesecakes topped off with fresh lemon curd and meringue frosting. A perfect bite sized Spring dessert! I got myself all hyped up, excited to watch Nashville only to realize that it’s not new this week. Boohoo. Seriously, what gives? Didn’t they just start back up after a Winter break? It sure feels like it. I swear they’ve only been back on for a month and now another break. At least Scandal won’t let us down. And after last week… definitely looking forward to seeing what happens next! Who else is following along and excited for the changes?! I won’t give any spoilers in case you haven’t caught up, but man… last week’s episode was good. And in other very important news. I need to know. Who else is going to see Divergent this weekend? Have you read all of the books? I had every intention of buying the third book the second (okay… the day) it was released but I still haven’t. I have at least read the first two though. I promise I’ll have the third read by the time that movie comes out which should give me at least two years to have it read. Was the third as good as the first two? And of course…happy first day of Spring! Not that the weather is acting like it in most areas of the country, but sooner or later the nice weather has to kick in. Until then, we’ll have to try and encourage Mother Nature a little bit, entice her if you will, with lemon-y treats and other Spring dishes. I’m a big fan of lemon desserts. A little bit sweet, sometimes tart, but always perfect no matter what! Even though I already had a very basic lemon-lime mini cheesecake, it was time to kick things up a notch and share an over the top lemon cheesecake. These are amazing. Creamy two bite lemon cheesecakes topped off with sweet homemade lemon curd and fresh meringue. The ultimate Spring dessert and an absolute must make. My family couldn’t get enough of these! Try them, you’ll see why! 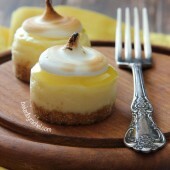 Mini lemon cheesecakes topped off with fresh lemon curd and meringue. A perfect bite sized Spring dessert! In the bowl of a stand mixer, beat together cream cheese and sugar. Mix in sour cream, followed by lemon juice and lemon zest. Finally add egg, mixing until batter is smooth and streak free. Prepare lemon curd. In a double boiler over simmering water, whisk all ingredients for 8-10 minutes. Press through a fine mesh strainer, into a small bowl. Cover with plastic wrap, pressing to the surface of lemon curd so to avoid a skin forming. Cool to room temperature. 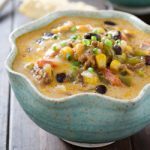 Place in refrigerator to cool completely and continue to thicken. Carefully remove cheesecakes from pan, removing pan disc from the bottom of each crust. 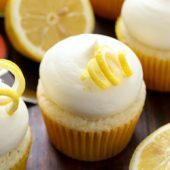 Using a piping bag fit with a small round tip or a spoon, carefully add a small amount (roughly 1-2 tsp) lemon curd to each cheesecake. Return to cheesecakes to refrigerator. Prepare meringue. Add egg whites, sugar and cream of tartar to a metal stand mixer bowl over simmering water. Whisk for several minutes or until sugar is dissolved and whites are warm. Move metal bowl to mixer, beat on low increasing to high until mixture is stiff and glossy, roughly 5 minutes. Add vanilla, mixing in well. Transfer to a piping bag with desired tip, pipe onto chilled cheesecakes. Use a kitchen torch to lightly brown the meringue frosting. I love mini desserts. You can indulge without the guilt. Pinning! Water in my mouth already. 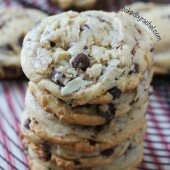 I am so gonna make these this spring/summer! wow! These cheesecakes look so fantastic. 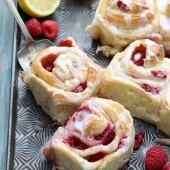 They would be good just with lemon curd and with that meringue top it’s amazing! Cheesecake and lemon meringue pie are, hands down, my two favorite desserts. So these are kind of blowing my mind right now. 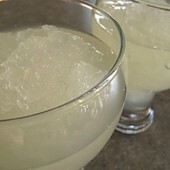 I could 18 of these right now. Yes, 18. 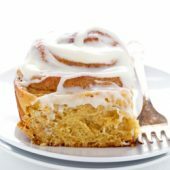 Oh my gosh, what I wouldn’t give to be eating these right now! i need to really make lemon curd this year..that looks so luscious. What a gorgeous and perfect cheesecake for the first day of spring!!!! 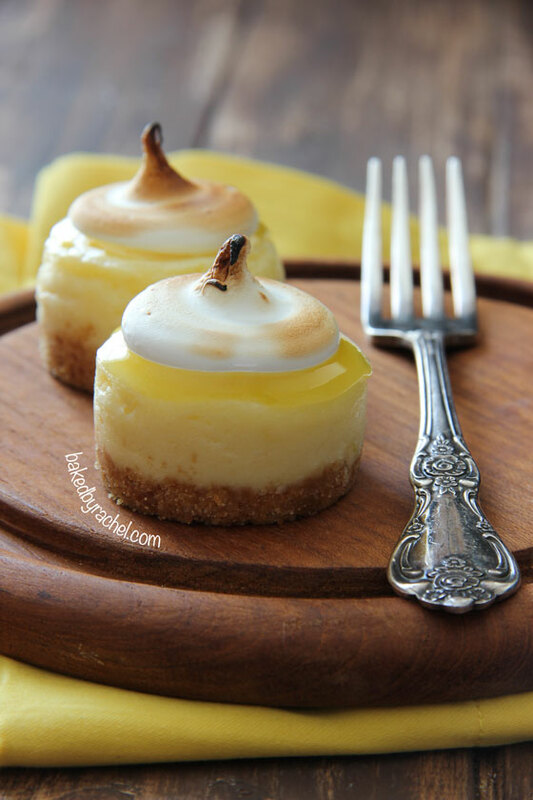 I adore lemon cheesecake and love that you made lemon curd and meringue on top! I love all of your mini cheesecakes, but these ones might be my favorite! 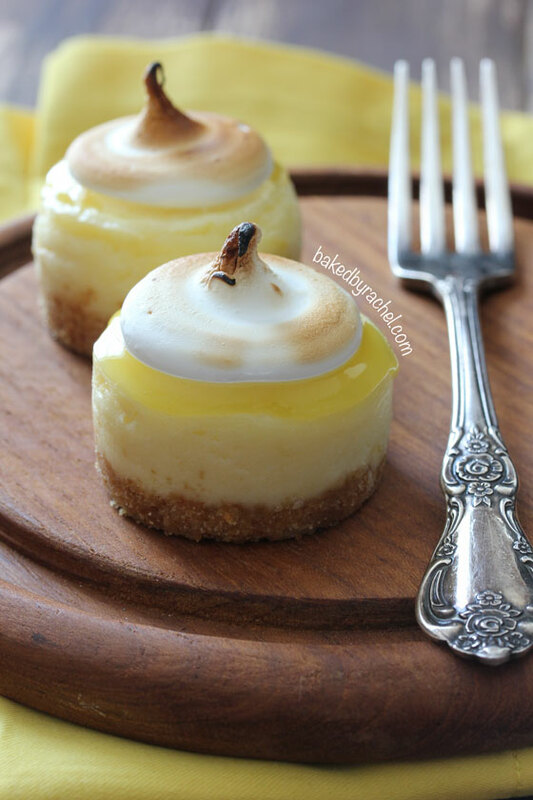 Lemon curd on top of cheesecake, topped with meringue is perfect! Oh my gosh these are so adorable! Lemon curd and meringue are like the peanut butter and jelly of the tart world, in my opinion. 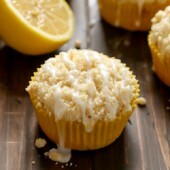 I love anything lemon, so these are a great dessert. I could just eat lemon curd as-is with a spoon, and be happy. Made these today, didn’t change a thing in the recipe. Have to say they were fantastic. So glad to hear you enjoyed them. :) Thanks for sharing! These are adorable! Cheesecake is my favorite dessert so I love making it whenever I can. Did you ever see Divergent? What did you think! Wow! These look adorable and look so bright and fresh! I love lemons. And Divergent… I really dislike the ending of the last book. Oh, well. Enjoy! Thanks so much Anne! It’s been so long since I’ve read the books, I need to do a refresher on the last two! Ooh…these look super yummy! I love that they have (what I consider) the perfect lemon curd/lemon cheesecake to meringue ratio. So cute!! Made the mini cheesecakes last night and they were a hit. Absolutely delicious!! Looks delicious! Can these be made in a muffin tin with liners? I’d like to make them for a baby shower and am hoping they will be easier to transport/serve that way. Thanks! Hi ! 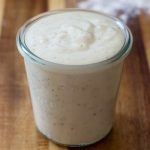 Was just wondering if flour or cornstarch should be added for it to hold together better? Also, if Im making these on Thursday night will they still be good for Saturday night dinner? 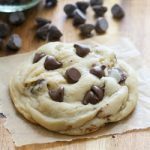 Flour and cornstarch are not necessary for this recipe. Making ahead a few days should be fine. Be sure to keep them chilled until ready to serve. 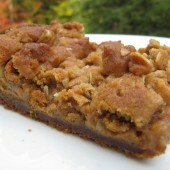 I am wondering about converting this to make a whole cheesecake instead of mini’s ? I just came across this recipe and reading through the comments sounds like everyone loved it so I want to really try it but would take it to an event that I think doing a whole cheesecake would be better. Any input? You would need to nearly triple the recipe for it to work in a larger traditional cheesecake pan. If you attempt it, I’d recommend following the directions from one of my full size cheesecake recipes for best bake temp and time. Good luck! Is there another way to achieve the charred meringue without a kitchen torch? For this particular recipe, I wouldn’t recommend another method. I only have Graham crumbs at home. How much would 24 wafer cookies be in cups? I have that pan and this looks like a beautiful recipe for it! Love the color transitions!